Does Dubai ever experience earthquakes? Does Dubai ever get earthquakes? For many cities, the possibility of a major earthquake is an unavoidable fact of life. Thankfully, Dubai does not lie on a fault line, which means the risk of an earthquake is extremely low – but that doesn’t mean we don’t experience wobbles from time to time. The UAE is located on the edge of the Arabian Tectonic Plate, which pushes against the Eurasian Plate. 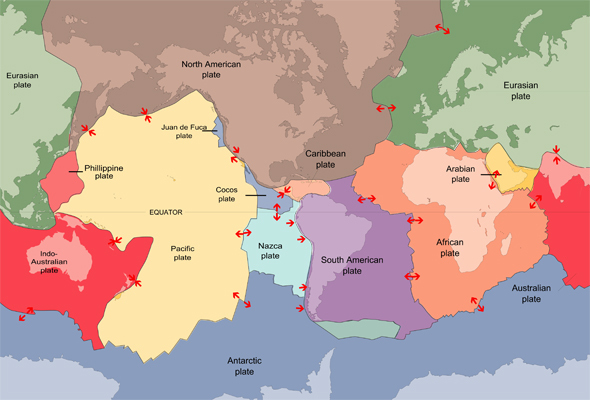 The boundary of those plates – the Zagros mountain belt of Iran – is one of the most seismically active regions in the world. Because of Iran’s proximity to the UAE, when it is hit by a big quake, Dubai typically experiences mild to moderate tremors (so do the northern emirates, of course, but because of Dubai’s high-rises, they tend to be felt more strongly here). One of the reasons we’re doing this ‘Dubai quake explainer’ is because we’ve noticed a lot of people continue to check out our story from May 2014 about an earthquake that was felt in Dubai. The 5.1-magnitude quake was centred in southern Iran, about 120km north of Ras Al Khaimah. Light shaking was reported all over Dubai, as well as in the northern emirates. One of the biggest earthquakes to ever be felt in Dubai occurred just a year earlier, in April 2013, when a powerful 7.8-magnitude earthquake hit the Iran-Pakistan border. Thousands of people were evacuated from high-rise buildings in Dubai as a precaution. Following that 2013 quake, Dubai Municipality revised its seismic code, ruling that any new towers with more than 10 floors would have to be built to withstand a 5.9-magnitude quake. Before this, towers had to be able to withstand a moderate quake between 5.0 and 5.5. What about the Burj Khalifa? 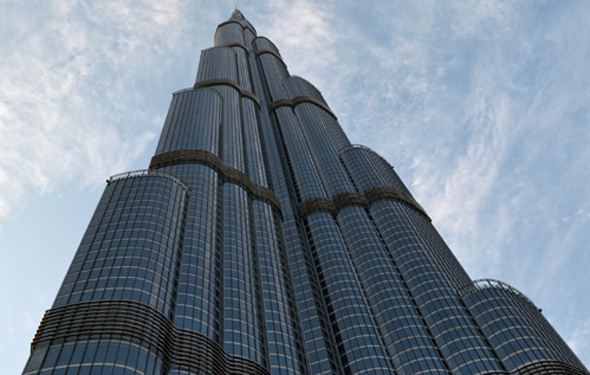 Well, the world’s tallest building has actually been built to withstand a 7.0 magnitude earthquake. The 828-metre tower even has its own earthquake detection system, with sensors throughout the building able to report any structural movement, and determine whether evacuation is necessary. Dubai also has a network of seismic stations dotted all over the emirate, monitoring any unusual activity that might affect the city as a whole. Then there’s the University of Sharjah earthquake monitoring station, located in the mountains of Wadi Helou, which is linked to the Global Seismographic Network – a group of more than 150 monitoring stations that provide real-time information on seismic activity around the world. So yes, earthquakes in Dubai are not something you need to worry about – but you can file this under ‘good to know’. For more information on what to do during an earthquake, visit the NCMS website.